Oklahoma Connection | Robert A. Hefner III graduated from the University of Oklahoma in 1957. For many years, Hefner held dozens of world records for the deepest and highest pressure wells ever drilled, with several drilled to depths of 30,000 feet. Robert A. Hefner III is founder and owner of The GHK Company, a private Oklahoma City oil and natural gas firm. Before playing football at Harvard’s Military School in Los Angeles, he attended The Webb School in Claremont, California, where he would later establish a science endowment in honor of his mentor Ray Alf. After graduating from the University of Oklahoma with a degree in geology in 1957, he founded GHK in 1959. Hefner and GHK are well known for pioneering deep natural gas exploration in western Oklahoma, and Hefner remains active in oil and gas throughout Oklahoma and Texas. Hefner has testified before Congress, counseled world leaders and advised presidents on energy policy. 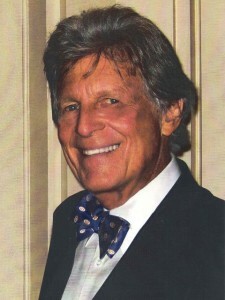 He was a founding contributor to the University of Oklahoma Energy Center and is chairman emeritus of Ballet Oklahoma. He has received the Forbes Business in the Arts Award and the Energy Advocate of the Year Lifetime Achievement Award. His book, The Grand Energy Transition, which discusses the transition to sustainable energy, was published in 2009. Hefner is a member of the International Council at Harvard’s Center for Science and International Affairs, a director of the American Clean Skies Foundation and a member of Singapore’s International Advisory Panel on Energy. Hefner and his wife, MeiLi, have a passion for contemporary Chinese art, represented by their world-renowned Hefner Collection. In 2005, the Hefners established the Hefner Initiative, which has funded trips to China for outstanding students from Oklahoma. The Hefner Foundation promotes global stability by developing the United States’ relationship with China. Hefner follows in the footsteps of his father, Robert A. Hefner, Jr., and grandfather, Judge Robert A. Hefner, in becoming a member of the Oklahoma Hall of Fame. Hefner and his wife have three children, seven grandchildren and one great-grandchild. See pictures of Robert A. Hefner III and other media HERE.